Housing Association boss’s have been awarded an average pay rise of 4.3% this year according to figures published in today’s Inside Housing. That is an inflation busting pay boost which will increase the already growing gap between frontline workers and top executives in the sector and is far more than their tenants and residents will have had. David Cowans of ‘Places for People’ is the highest paid CEO on £591,256 per year, but seventeen bosses are catching him up with double digit pay increases. Nick Apetroaie at Optivo had a 57.9% increase bringing his pay to £279,000 and Peabody boss Brendan Sarsfield had an increase of 17% bringing his pay to £278,750. But with a whopping 69.2% Phil Adams at Greenfields had the biggest increase. Housing associations award their boss’s inflation busting pay increases every year while pleading poverty to their workers and tenants apparently impervious to the mounting anger this causes. Unite activists will want to spread the word about these increases which are essential background when drawing up pay claims. Don’t forget Unites pay conference for the housing sector is on Friday 26th October in London – book you place now. It isn’t just the gap between boss’s and workers that is widening, despite much talk about equality the pay gap between female and male chief executives widened from 5% to 8.2%. For the first time the survey looked at race. Only four of the 182 CEO’s identified as BME, a little over 2%, and on average they are paid 12.4% less than their whit counterparts. We have previously pointed out that bottom up cultural change is needed. 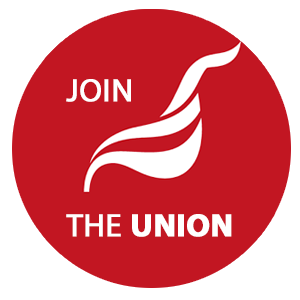 Recent moves to derecognise trade unions and marginalise their role in many housing associations fly in the face of pledges to ensure fairness, transparency and diversity. The figures on BAME and women’s representation are no surprise in that context. Inside Housing have not surveyed the pay of senior managers immediately below CEO’s but there does seem to be a pattern of this layer pulling away from other staff as well. We recently reported that the number of managers at Catalyst paid over £100,000 has more than doubled while staff pay and conditions are squeezed.